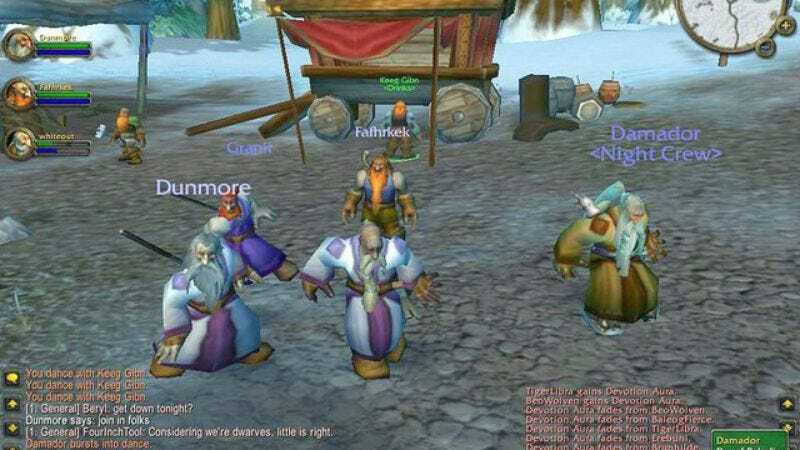 Finally reclaiming the project from the stack of screenplays claimed by Sam Raimi (who was mostly just using it to eat TV dinners on anyway), Legendary Pictures is reviving its years-old plans to make a movie based on the massively multiplayer online role-playing game World Of Warcraft, handing the script over to Blood Diamond writer Charles Leavitt for a second draft and beginning the search for a new director. The fantasy film is expected to make some serious moves forward in the next couple of months, though the studio is still guarded about details on how it plans to transform the game's sprawling, interactive, ever-changing universe into a single narrative and truly capture the experience of playing the game. But that's probably because they don't want to just come out and say it'll be about an elf sexually harassing every female he can find.